Homewood College takes the issue of bullying very seriously. We have a whole school, systematic approach to bullying incidents; our relationships with students help us be aware of issues and ensures students have someone they can speak to and know something will be done. November 2018: Students are currently taking part in the Safe and Well at School Survey and when the results are published, we will work with students to put together an action plan based on this. 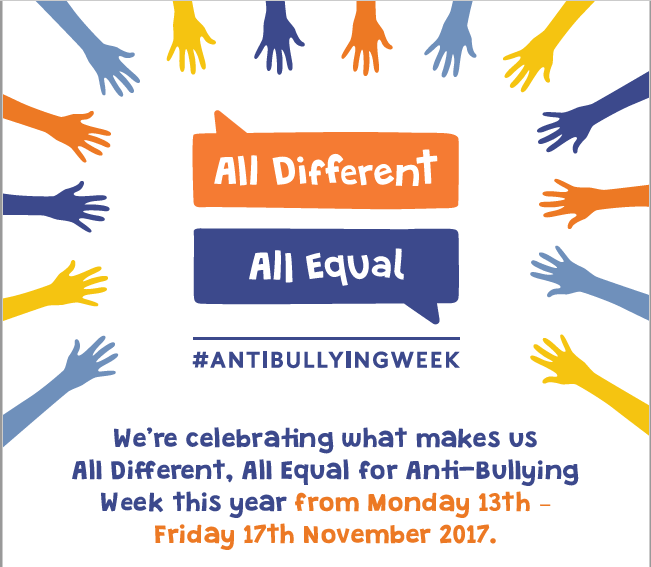 Anti-Bullying Week was highlighted in school this year – All Different, All Equal, as part of our Theme of the Week. Issues were discussed in social studies lessons.